This week found me weeding a tea garden I planted last fall, in Saratoga. 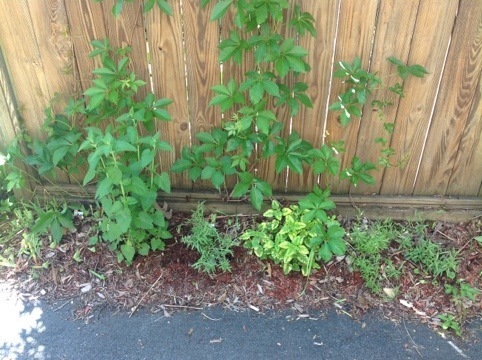 Organic herb gardens are the easiest gardens to keep organically- the spicy or aromatic properties of the herbs often chase away predator bugs. Being able to cut some beebalm, lemon balm, mint, catnip, lemongrass, lavender, chamomile, sage- any combination of these- and brew up an herbal decoction for iced tea is an experience no one should miss.